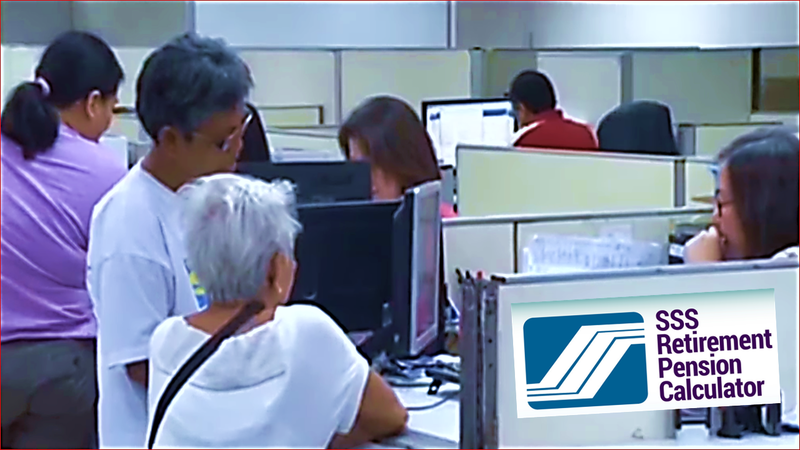 Now that the government has already signed the P1,000 monthly pension increase for around two million Social Security System (SSS) pensioner, do you know how much is your pension in case you retire? 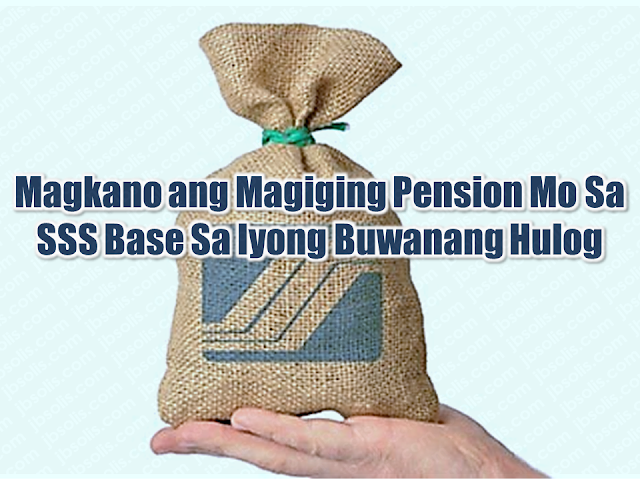 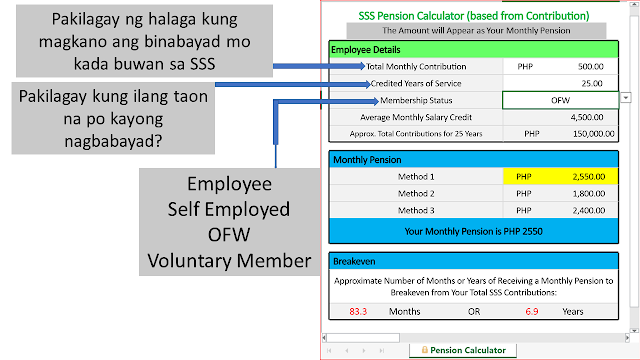 Check out this SSS Monthly Pension Calculator and pension advice online. 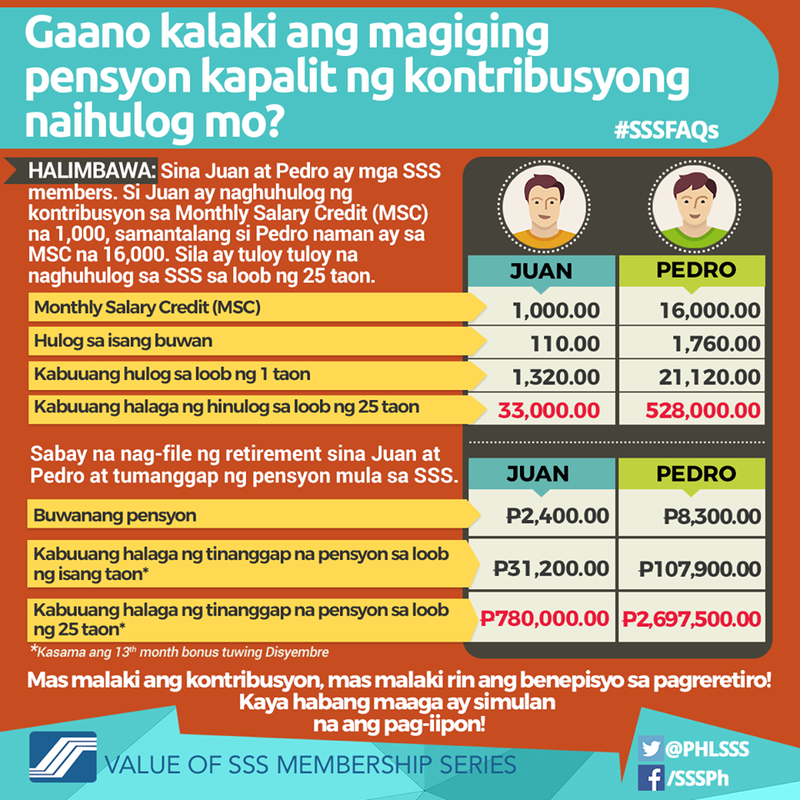 As a member of SSS, it is important to know how much you will get after many years of giving your contributions to the agency. 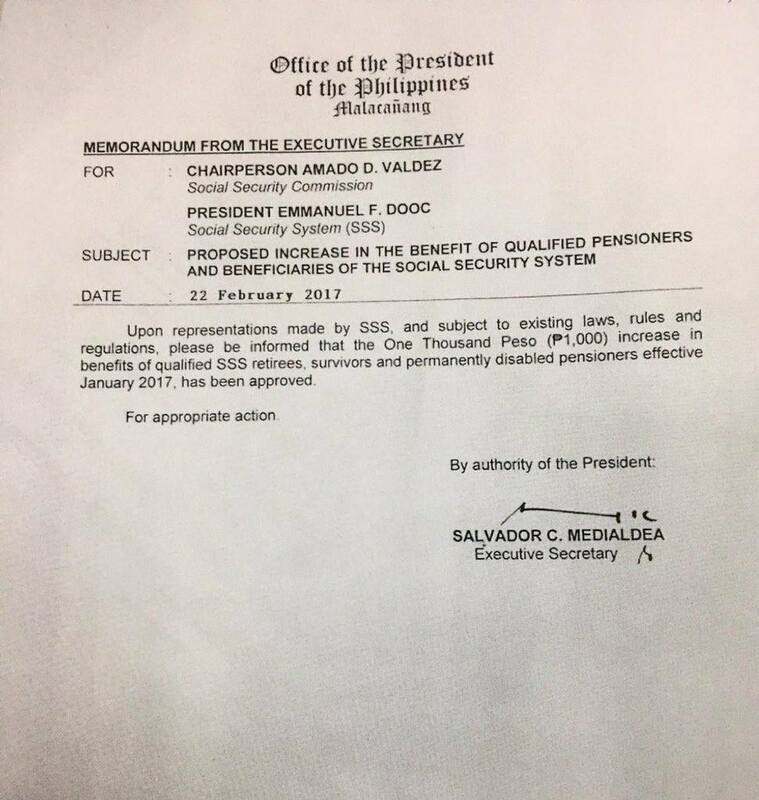 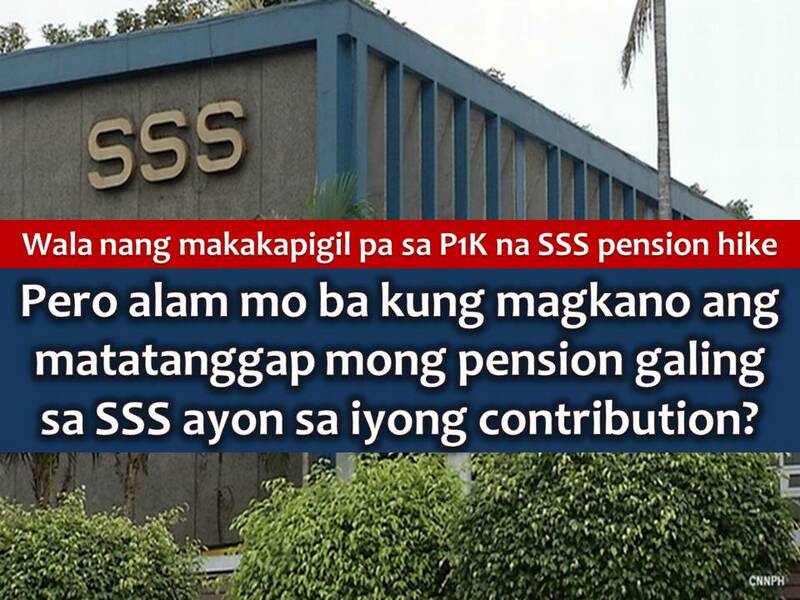 SSS Chairman Amado Valdez tweets about this pension increase. 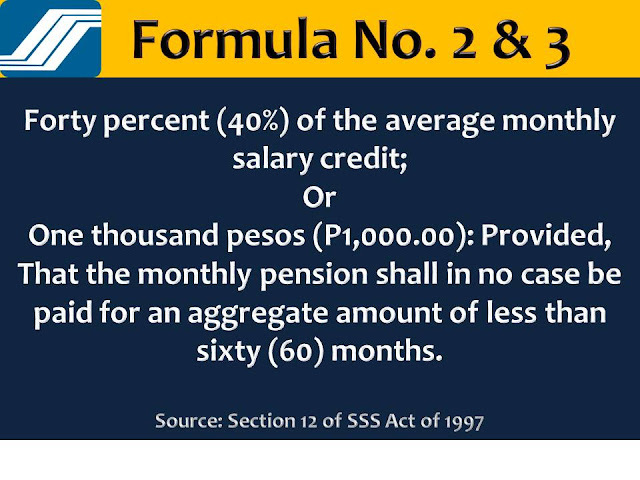 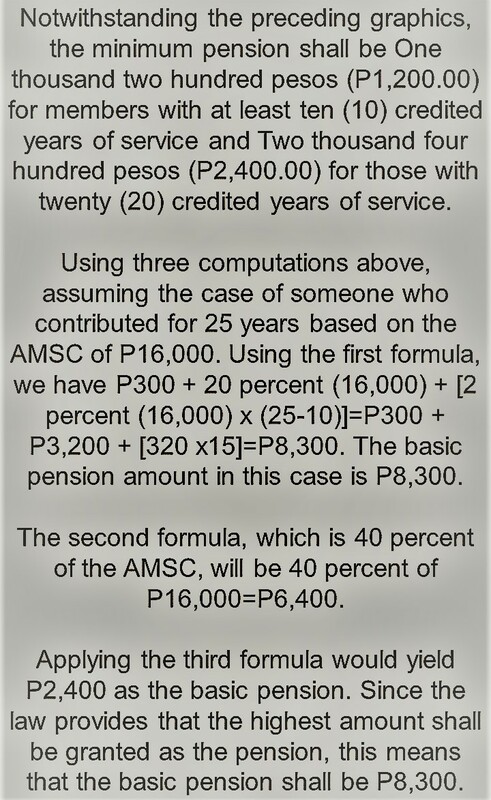 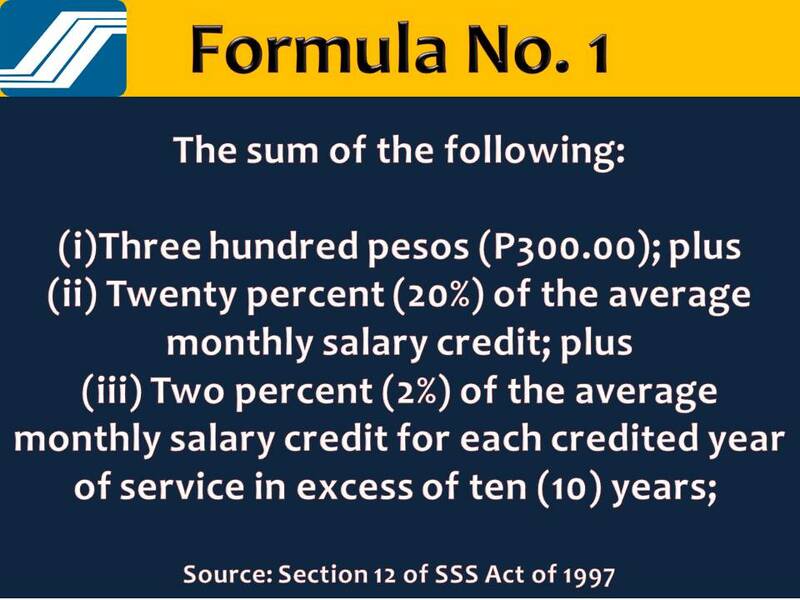 The late Susie G. Bugante, vice president for public affairs and special events of the SSS, explained a simple computation of retirement pension according to Section 12 of the SSS Act of 1997. The graphics above and below explained how to calculate the pension of individual SSS members depending on the monthly contribution of the member. 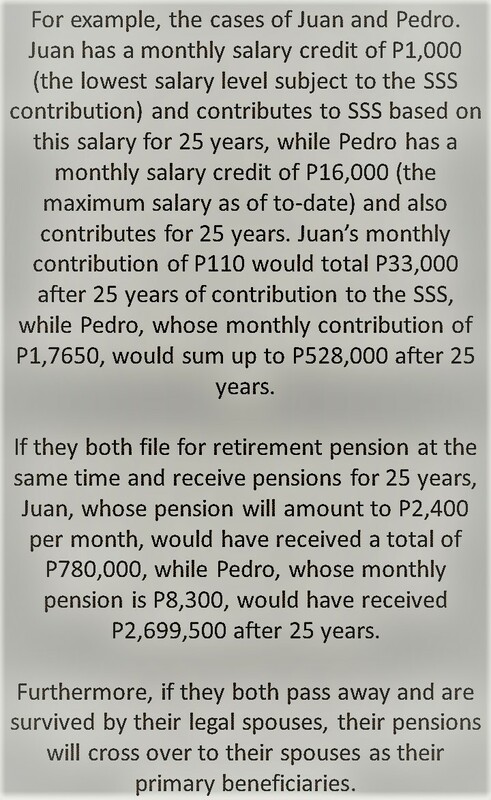 Now that you have an idea how much you will be received in case you will retire, it is in your hands how much would you like to contribute to your retirement.